The CBI had a fortnight ago filed a case against Karti Chidambaram and INX Media founders Indrani and Peter Mukerjea on charges of criminal conspiracy, cheating, receiving illegal gratification, influencing public servants and criminal misconduct. 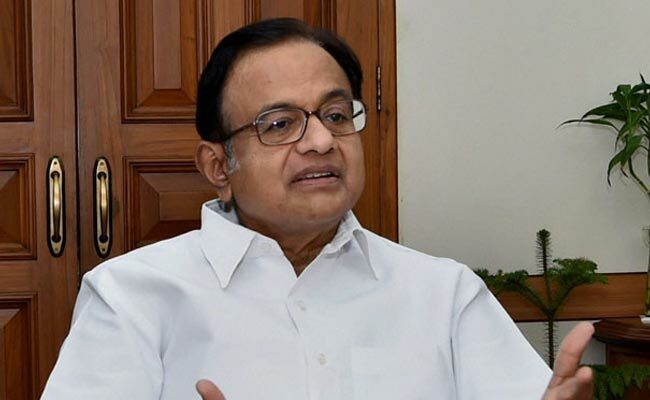 New Delhi: Senior Congress leader P Chidambaram today said it was "preposterous" to suggest that any member of his family could influence six secretaries of the central government who were part of the Foreign Investment Promotion Board or FIPB. Rebutting allegations that his son Karti had influenced the decisions of the now-defunct Foreign Investment Promotion Board, Mr Chidambaram said it was a "despicable slur" on the six secretaries of the government. "Anyone who has worked with me knows that no one would dare to influence my decisions. 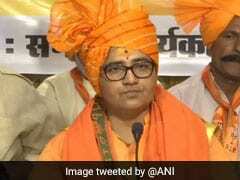 I had never allowed any family member to speak to me or to any officer of my ministry on any official matter," he said in a statement. The CBI claims that Karti Chidambaram received money from INX Media through a company "indirectly controlled by him" for using his influence to manipulate a tax probe against it. The former finance minister said as far as FIPB cases were concerned, he had approved only FIPB-recommended cases and put before him by the secretary economic affairs. Mr Chidambaram said the FIPB was serviced by a secretariat, chaired by the secretary economic affairs. It included four other secretaries (industry, commerce, external affairs and overseas Indian affairs) and the secretary of the administrative ministry. Five of them were among the senior most IAS officers and the sixth was a senior IFS officer of the Ministry of External Affairs. Each of them had a long and distinguished record of service, he said. The recommendations of the FIPB would be submitted to the Ministry of Finance where they would be once again examined by junior officers and then by the additional secretary and the secretary before the file was put before the minister. Each file put before the minister would usually contain a number of cases, and the recommendations of the FIPB and the economic affairs secretary, he said. "At the relevant time, the FIPB was chaired by D Subbarao who later became Governor of RBI. He was succeeded by Ashok Chawla, who later became chairman of the competition commission of India. The other secretaries were equally distinguished civil servants," he said. Mr Chidambaram said in the last two weeks, leaks and insinuations have been "deliberately fed" to a section of the media and "maliciously circulated" on social media. "In fact, I have obtained a copy of the FIR from social media. The origin of these leaks is Chennai in my home state of Tamil Nadu," he said.